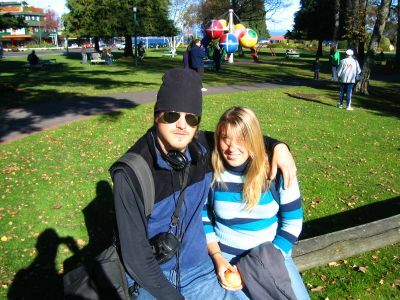 sharon and i hanging out in a park in taupo, new zealand, located in the middle of the north island. sharon has just signed up for a sky-dive and is terrified. 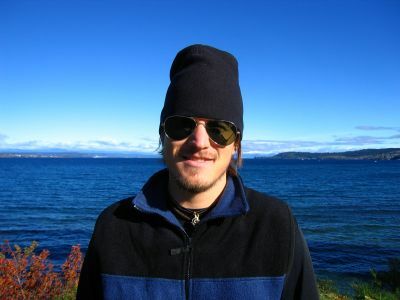 me on the shores of lake taupo. 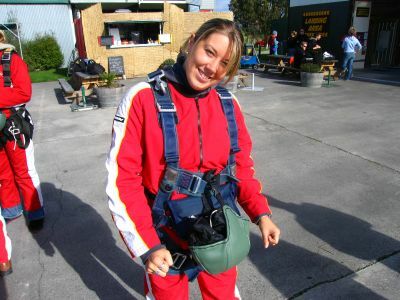 sharon in the moments before her sky-dive. she survived and we headed for wanganui. 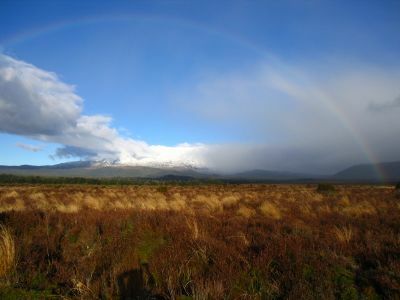 on the way we passed through tongariro national park - this is the back side of mount tongariro. 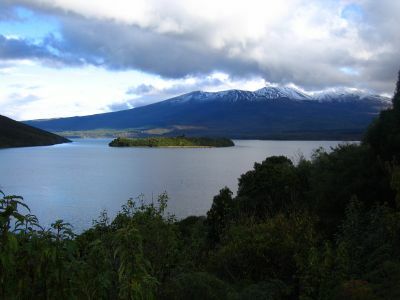 a cloud obscures the top of mount tongariro, a.k.a. 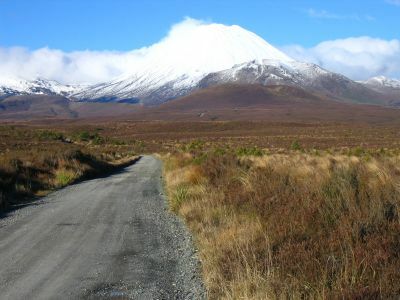 MOUNT DOOM in the lord of the rings. ...and i was glad i did. 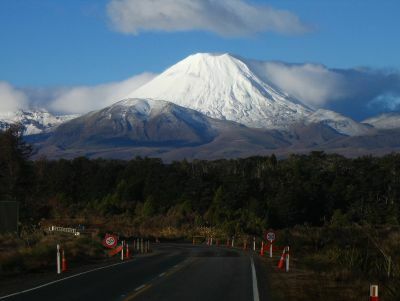 what an amazing view i had of MOUNT DOOM! 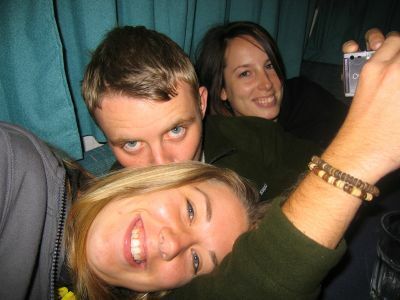 later we pulled to the roadside for the night and enjoyed a few speights and some laughs in the campervan. paul was obsessed with sniffing sharon's hair. 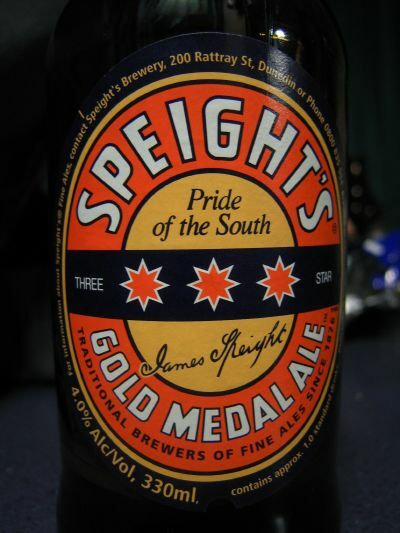 here is what we blamed for our stupid antics: speights, a fine new zealand beer.